A man wielding a gun and possibly carrying an explosive device is holed up at the Discovery Channel headquarters in Silver Spring, MD — and now he’s been identified by the network as radical environmentalist — James Jay Lee — who has had a grudge against Discovery for years. Lee recently published a manifesto listing his demands to the Discovery Channel … including the immediate stop to “encouraging the birth of any more parasitic human infants.” Lee also lashes out about Discovery Channel programs promoting war and technology. 1. The Discovery Channel and it’s affiliate channels MUST have daily television programs at prime time slots based on Daniel Quinn’s “My Ishmael” pages 207-212 where solutions to save the planet would be done in the same way as the Industrial Revolution was done, by people building on each other’s inventive ideas. Focus must be given on how people can live WITHOUT giving birth to more filthy human children since those new additions continue pollution and are pollution. A game show format contest would be in order. Perhaps also forums of leading scientists who understand and agree with the Malthus-Darwin science and the problem of human overpopulation. Do both. Do all until something WORKS and the natural world starts improving and human civilization building STOPS and is reversed! MAKE IT INTERESTING SO PEOPLE WATCH AND APPLY SOLUTIONS!!!! 2. All programs on Discovery Health-TLC must stop encouraging the birth of any more parasitic human infants and the false heroics behind those actions. In those programs’ places, programs encouraging human sterilization and infertility must be pushed. All former pro-birth programs must now push in the direction of stopping human birth, not encouraging it. 3. All programs promoting War and the technology behind those must cease. There is no sense in advertising weapons of mass-destruction anymore. Instead, talk about ways to disassemble civilization and concentrate the message in finding SOLUTIONS to solving global military mechanized conflict. Again, solutions solutions instead of just repeating the same old wars with newer weapons. Also, keep out the fraudulent peace movements. They are liars and fakes and had no real intention of ending the wars. ALL OF THEM ARE FAKE! On one hand, they claim they want the wars to end, on the other, they are demanding the human population increase. World War II had 2 Billion humans and after that war, the people decided that tripling the population would assure peace. WTF??? STUPIDITY! MORE HUMANS EQUALS MORE WAR! 4. Civilization must be exposed for the filth it is. That, and all its disgusting religious-cultural roots and greed. Broadcast this message until the pollution in the planet is reversed and the human population goes down! This is your obligation. If you think it isn’t, then get hell off the planet! Breathe Oil! It is the moral obligation of everyone living otherwise what good are they?? 6. Find solutions for Global Warming, Automotive pollution, International Trade, factory pollution, and the whole blasted human economy. Find ways so that people don’t build more housing pollution which destroys the environment to make way for more human filth! Find solutions so that people stop breeding as well as stopping using Oil in order to REVERSE Global warming and the destruction of the planet! 7. Develop shows that mention the Malthusian sciences about how food production leads to the overpopulation of the Human race. Talk about Evolution. Talk about Malthus and Darwin until it sinks into the stupid people’s brains until they get it!! 8. Saving the Planet means saving what’s left of the non-human Wildlife by decreasing the Human population. That means stopping the human race from breeding any more disgusting human babies! You’re the media, you can reach enough people. It’s your resposibility because you reach so many minds!!! 9. Develop shows that will correct and dismantle the dangerous US world economy. Find solutions for their disasterous Ponzi-Casino economy before they take the world to another nuclear war. 10. Stop all shows glorifying human birthing on all your channels and on TLC. Stop Future Weapons shows or replace the dialogue condemning the people behind these developments so that the shows become exposes rather than advertis****ts of Arms sales and development! 11. You’re also going to find solutions for unemployment and housing. All these unemployed people makes me think the US is headed toward more war. Humans are the most destructive, filthy, pollutive creatures around and are wrecking what’s left of the planet with their false morals and breeding culture. For every human born, ACRES of wildlife forests must be turned into farmland in order to feed that new addition over the course of 60 to 100 YEARS of that new human’s lifespan! THIS IS AT THE EXPENSE OF THE FOREST CREATURES!!!! All human procreation and farming must cease! It is the responsiblity of everyone to preserve the planet they live on by not breeding any more children who will continue their filthy practices. Children represent FUTURE catastrophic pollution whereas their parents are current pollution. NO MORE BABIES! Population growth is a real crisis. Even one child born in the US will use 30 to a thousand times more resources than a Third World child. It’s like a couple are having 30 babies even though it’s just one! If the US goes in this direction maybe other countries will too! Also, war must be halted. Not because it’s morally wrong, but because of the catastrophic environmental damage modern weapons cause to other creatures. FIND SOLUTIONS JUST LIKE THE BOOK SAYS! Humans are supposed to be inventive. INVENT, DAMN YOU!! The world needs TV shows that DEVELOP solutions to the problems that humans are causing, not stupify the people into destroying the world. Not encouraging them to breed more environmentally harmful humans. Saving the environment and the remaning species diversity of the planet is now your mindset. Nothing is more important than saving them. The Lions, Tigers, Giraffes, Elephants, Froggies, Turtles, Apes, Raccoons, Beetles, Ants, Sharks, Bears, and, of course, the Squirrels. The humans? The planet does not need humans. You MUST KNOW the human population is behind all the pollution and problems in the world, and YET you encourage the exact opposite instead of discouraging human growth and procreation. Surely you MUST ALREADY KNOW this! I want Discovery Communications to broadcast on their channels to the world their new program lineup and I want proof they are doing so. I want the new shows started by asking the public for inventive solution ideas to save the planet and the remaining wildlife on it. These are the demands and sayings of Lee. Listen to a woman who was evacuated from the Discovery building after a hostage situation began. 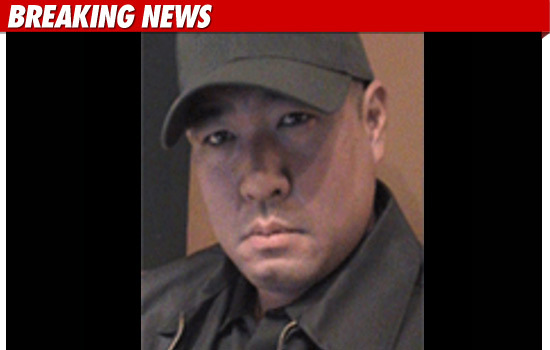 Cops say tactical officers managed to get close to Lee … and saw him point a handgun at one of the hostages. That’s when officers decided to open fire … killing Lee. This entry was posted on September 1, 2010 at 6:56 pm and filed under News. You can follow any responses to this entry through the RSS feed. You can leave a response, or trackback from your own site.